A palm oil company is continuing to clear forest in a fast-diminishing elephant habitat in Indonesia’s Leuser ecosystem despite being the subject of two reports into illegal deforestation, according to a prominent environmental organisation. The Rainforest Action Network (RAN) published a study in July accusing plantation owner PT Agra Bumi Niaga (ABN) of growing oil palms on illegally deforested land in the Leuser ecosystem, in Aceh province, northern Sumatra. This was the second time in six months that the company had been accused by RAN of clearing rainforests in one of the most biodiverse regions on the planet. Ed: Don’t support illegal deforestation by buying products with palm oil in them! Palm oil can be listed as an ingredient by over 200 names. Demand for biofuels made from food crops, such as palm and rapeseed oil, has led to an increase in global food prices and needs to be curbed, according to a new analysis. There has been a surge in the production of biofuels in Europe and the US since the early 2000s, backed by policies designed to cut use of fossil fuels, such as the first EU biofuel directive in 2003. California’s big battery experiment: a turning point for energy storage? On a paved expanse next to an electrical substation in Escondido, 30 miles north of downtown San Diego, sits a row of huge silver boxes. The site resembles a barracks, but instead of soldiers, the 24 containers house racks of battery packs. This is the largest lithium-ion battery in the world, according to its developers. When the local grid needs more power, these batteries deliver, almost instantaneously. They can discharge up to 30 megawatts – roughly equivalent to powering 20,000 homes – and can sustain that level for up to four hours. AES Energy Storage built the system in less than six months for utility San Diego Gas & Electric (SDG&E) in response to a four-month blowout at southern California’s Aliso Canyon natural gas storage facility. The first utility-scale clean energy project, combining solar and wind power with storage will be built by Vestas and Tesla and will be located in Flinders Shire, in north-central Queensland. NEW ZEALAND – Sustainable Business Council Executive Director Abbie Reynolds says the Ministry for the Environment and Statistics New Zealand’s Our atmosphere and climate 2017 report makes for a sobering read. The report shows New Zealand’s climate is warming, and concludes the effects are now becoming visible on New Zealand’s landscape and oceans. “One sector alone cannot do the work that is needed to mitigate the effects of climate change. The path ahead must be co-designed and therefore co-owned by all parts of society – from businesses, to government, civil society and, of course, individuals”. The report can be found in full here. Gut Revolution seeks to sort the facts from the faeces in an observational series that follows two people with debilitating gut issues on their quest for better health. 26-year-old mother of two Melissa has been battling a painful case of irritable bowel syndrome for the past two years. She’s seen all the doctors and had all the investigations but no one has been able to help her. Can the latest science driving the Gut Revolution provide any answers? We follow Melissa over her transformational six week journey as our team of experts design an intervention that literally changes her life. It’s known as the windscreen phenomenon. When you stop your car after a drive, there seem to be far fewer squashed insects than there used to be. Scientists have long suspected that insects are in dramatic decline, but new evidence confirms this. Research at more than 60 protected areas in Germany suggests flying insects have declined by more than 75% over almost 30 years. INDONESIA – Lush green blankets of vegetation drape over Java’s steep mountains. 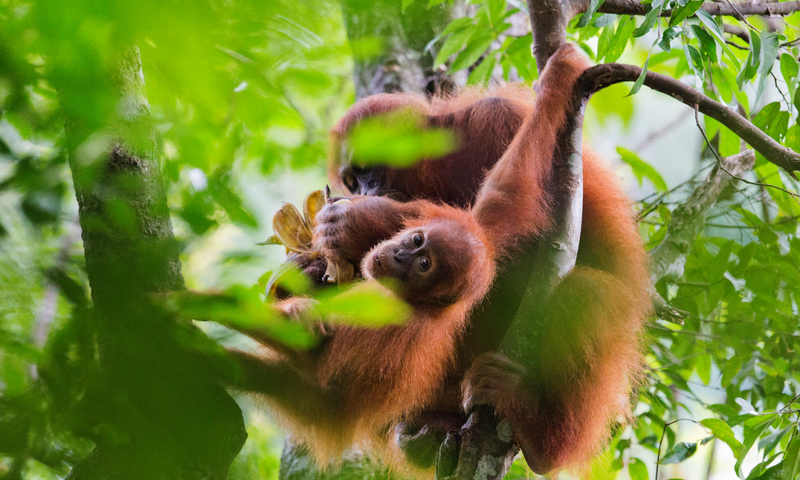 But these dense rain forests – on Indonesia’s most crowded island – are rapidly falling silent. Tuneful songbirds that used to give the mountains a unique melody are being caught and sold. 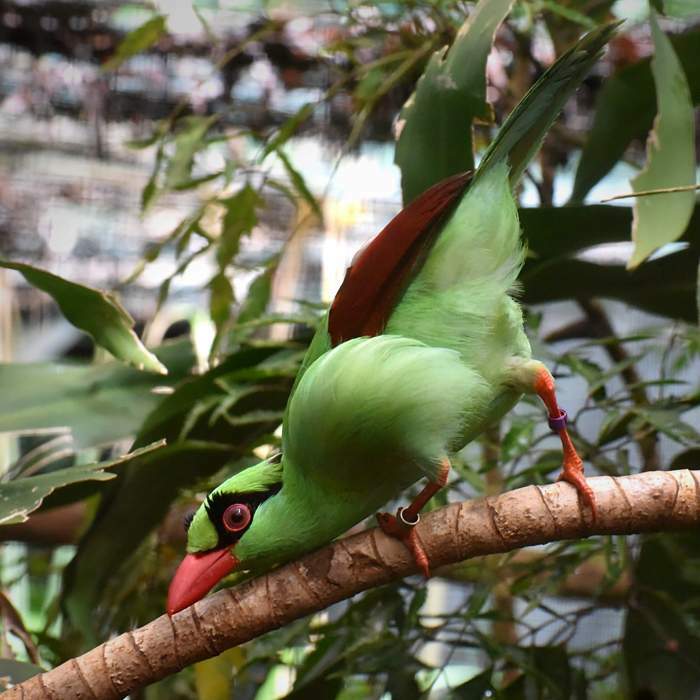 An almost luminous emerald Javan green magpie raises comical, Groucho Marx eyebrows quizzically – cocking its head. With a bright orange beak and black bandit mask plumage, it looks for all the world like a cartoon character. Off Australia’s northeast coast lies a wonder of the world; a living structure so big it can be seen from space, more intricate and complex than any city, and so diverse it hosts a third of all fish species in Australia. The Great Barrier Reef as we know it — 8,000 years old and home to thousands of marine species — is dying in our lifetime. Can We Save the Reef? is the epic story of Australian and international scientists who are racing to understand our greatest natural wonder, and employing bold new science to save it. All sea life will be affected because carbon dioxide emissions from modern society are making the oceans more acidic, a major new report will say. The eight-year study from more than 250 scientists finds that infant sea creatures will be especially harmed. This means the number of baby cod growing to adulthood could fall to a quarter or even a 12th of today’s numbers, the researchers suggest. The assessment comes from the BIOACID project, which is led from Germany. Rising ocean temperatures may result in worldwide change for shallow reef ecosystems, according to research published yesterday in Science Advances. The study, based on thousands of surveys carried out by volunteer scuba divers, gives new insights into the relationship of fish numbers to water temperatures – suggesting that warmer oceans may drive fish to significantly expand their habitat, displacing other sea creatures. NEW ZEALAND – Marine reserves don’t just benefit sea creatures living within them, but those beyond their borders as well, Kiwi researchers have suggested. University of Auckland scientists have observed a higher proportion of young snapper in fishing areas north of Auckland were related to adult snapper from the Goat Island marine reserve – tens of kilometres away. NEW ZEALAND – Researchers have begun building a business case for a proposed bond that could be used to fund the planting of permanent native forests in Auckland’s Hauraki Gulf and elsewhere in the country. A new project, led by consultant Sam Lindsay and AUT policy researcher Dr David Hall, will investigate whether “impact investment” could be used to provide up-front capital for permanent forest planting, particularly on vulnerable, erosion-prone land and waterway margins throughout the gulf and in other places. Impact investment involves gaining a financial return, alongside a measurable benefit for society and the environment. Neonics [neonictenoids] account for one third of the global pesticide market and are used to protect crops from insect pests. Because neonics are found throughout targeted plants, including the pollen and nectar, bees are contaminated when they forage, resulting in contaminated honey. They have been available for use in New Zealand for more than 20 years, but remain subject to strict regulations. The Environmental Protection Agency (EPA) has set special rules to protect bees which prohibit any spraying near hives, on crops likely to be visited by bees or when bees are foraging, or when flowering crops, plants and weeds are present in the treated area. According to CDP, the global non-profit climate research provider, almost 1,400 multinational companies now factor an internal carbon price into their business plans. That number is an impressive leap, as it amounts to an eight-fold increase from 2014. Three years ago, only 150 such companies reported that they considered the price of carbon into their overall financial strategic planning. Compared to last year, this is an increase of over 10 percent. Australian property giant Stockland is set to begin work on the first of 10 major commercial solar arrays it is installing on shopping centres across Australia, a $23.5 million project the company says will collectively generate 17.2 GWh of energy a year. NEW ZEALAND – For decades farmers and community groups have planted trees and other plants alongside rivers to improve waterways, but the extent of riparian buffers and whether they’re working is still not known. NIWA and Dairy NZ now want anyone who has planted along stream banks to formally record their work, to form a new national riparian database Riparian buffers are made up of plants which filter out sediment and faecal pathogens from waterways, stabilise stream banks and enhance biodiversity… They’re hoping to hear from those who have planted over a period of decades, given it can take a number of years to see the full results. AUSTRALIA – The federal government’s new National Energy Guarantee (NEG) proposal looks likely to put the brakes on renewable energy investment in Australia. And based on the sparse detail so far available, there are serious questions about whether the plan really can deliver on its aims of reliability, emissions reductions and lower prices. ‘Something big has to change’: could Australia afford a universal basic income? It seems everyone from Richard Branson to researchers at the Green Institute has an opinion on universal basic income (UBI), the idea that all citizens should be paid an unconditional monthly allowance. The benefits of putting a floor beneath earnings so that no one falls into poverty are obvious – but the inevitable question is, can we afford it? At a recent two-day workshop at Melbourne University, academics, union representatives and individuals from the private and welfare sectors were presented with modelling that suggests we can. Green MPs will hold some ministerial jobs outside Cabinet under their supply and confidence agreement with Labour, and although exact portfolios have yet to be announced, the party says it will have responsibilities for cleaning up waterways. Prior to the election, the Green Party said it would pay more than $136 million for farmers to move to more sustainable practices and if it were in government it would invest in a Sustainable Farming Fund. Former Mayor of New York City, billionaire, and philanthropist Michael Bloomberg has announced a new commitment of $64 million to support Sierra Club’s Beyond Coal Campaign; one day after President Donald Trump repealed the Clean Power Plan. USA – The Senate rejected an amendment Thursday that sought to block a key panel from raising revenue through drilling in Alaska’s Arctic National Wildlife Refuge, a move that could make it easier for future oil and gas drilling to take place there. The UK government could potentially consider providing subsidies for electric bicycles and electric cars as part of a concerted policy effort to get more people cycling, the roads minister, Jesse Norman, has said. With the UK facing health crises from pollution and inactive living, other plans could include using electric cargo bikes to deliver packages from internet retailers rather than vans, Norman told the Guardian. The Happy Hero reveals the secret of enjoying a better life and sets out the principles of how to feel good by doing good. Sounds simple, but where do you start? Everyday we are bombarded with fear and negativity from the media and have been trained out of happiness by these stories. There is a simple solution; stop worrying about the future and start making it better. AUSTRALIA – If you have an electric car, you would be hard pressed to take it on holiday, with only 50 charging stations across the country and just 11 in New South Wales. The state’s peak road user group, the NRMA, is set to change that with plans to establish a network of fast-charging stations for electric and hybrid cars in NSW. The plan involves a phased introduction of at least 40 stations at a cost of $10 million. The Australian Automobile Association will on Monday release results from emissions and fuel consumption tests on 30 passenger and light commercial vehicles showing discrepancies between real world and official fuel consumption established in laboratory testing. But the environment movement is preparing a campaign of its own, with the Australian Conservation Foundation urging its supporters to contact their state car clubs to demand groups like the RACV, NRMA, RACQ, RAA, RAC, RACT and AANT, support strong pollution standards for cars. Sitting at a Hyperloop Transportation Technologies presentation here at Autonomy, it was fun listening to Chairman Bibop G. Gresta talk about transportation problems and how hyperloops can help solve them. He’s a funny guy. And he put the problems of current transportation methods into stark terms (using pictures and videos from the real world, of course). However, the big surprise was that he announced for the first time during the presentation that construction had just begun on the first full-scale Hyperloop Transportation Technologies project — in Toulouse, France. UN Environment partnered with Dutch financial institution Rabobank to establish a $1 billion fund offering grants and loans to businesses interesting in investing in sustainable farming practices. The initiative was announced at the World Business Council for Sustainable Development plenary session, on Tuesday 17 October in Mexico City and was named Kickstart Food. According to UN Environment, halting climate change along with an increasing agricultural footprint while ensuring growth in agricultural production to feed an estimated 9 billion people by 2050 will be among the biggest challenges of the 21st century. Conservation of dwindling fish stocks is being severely hampered by poor controls on global trade, according to research published today in Nature/Scientific Reports. The study carried out by the Ecosystems and Environment Research Centre at the University of Salford looked at global production and trade statistics of the popular ‘snapper’ fishes and uncovered wide inconsistencies in records meant that the officially reported snapper trade may be underestimated by more than 70 percent. Major discrepancies were found between imports reported by the USA, the world’s largest consumer of snapper, and exports declared by its chief suppliers – Mexico, Panama and Brazil.